On June 22, 2011, after a 16-year manhunt, federal authorities finally apprehended James “Whitey” Bulger, the notoriously vicious gangster who terrorized Boston for more than two decades. 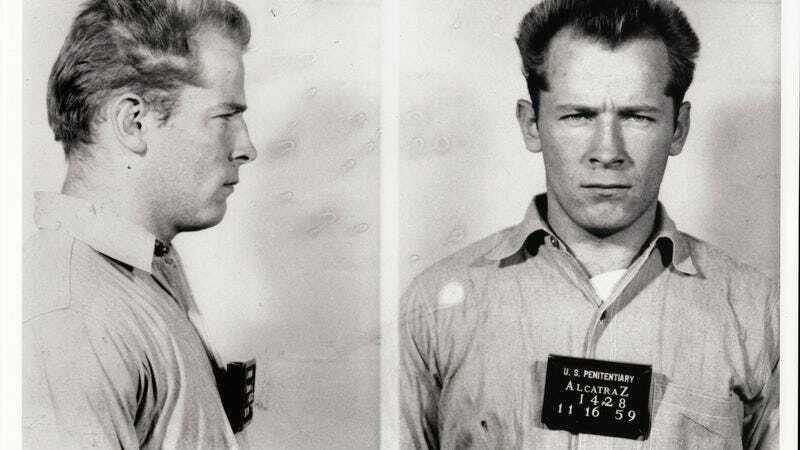 The inspiration for Jack Nicholson’s character in The Departed, Bulger was charged with 32 counts of criminal wrongdoing, including complicity in at least 19 murders. Documentary filmmaker Joe Berlinger, who chronicled the shifting legal fate of the West Memphis Three over three great HBO films, was there in Boston last June for Bulger’s trial. In theory, making a movie about the case might have seemed like an opportunity for the director to inverse the outrage of his Paradise Lost trilogy. Here, after all, was a situation in which the defendant almost certainly was responsible for the crimes of which he was accused. Could the resulting documentary provide cinematic proof that sometimes the system does work, that justice can be served? Don’t count on it. Despite essentially ending with the sentencing of its subject, who’s now serving two consecutive life terms, WHITEY: United States Of America V. James J. Bulger provides little in the way of comforting catharsis. That may be because Berlinger, a thorough and impassioned muckraker, has managed to find hints of injustice in the justice that was served. Bulger’s culpability is not really in question; he pled guilty to all but one of the charges. The real mystery of this dense, dry legal procedural is whether the U.S. government abetted the man’s evil by putting him on its payroll. WHITEY untangles a vast web of competing interests, investigating the strong rumor—fervently denied by the eponymous subject himself—that Bulger was an FBI informant. The evidence, none of it conclusive, is divided. Just as he did in Paradise Lost, Berlinger entertains multiple theories. Proceeding non-chronologically through the case, he identifies the major players in Bulger’s syndicate, gets into the nitty-gritty with his defense team, and interviews a small roster of independent researchers. The journalism is comprehensive, the scope admirably large. Those who can keep up will learn plenty about how a major, high-profile case proceeds. Yet for all the information it sifts through, WHITEY isn’t half as emotionally or dramatically involving as the Paradise Lost films. Access, or a lack thereof, is partially to blame: Berlinger wasn’t allowed in the courtroom, as he was for the West Memphis Three case, so the trial itself remains something of an abstraction. Furthermore, Bulger appears only in recorded telephone conversations with his lawyer; the lack of a proper interview, while totally understandable, creates a void at the film’s center. Why was this hardened man so determined to dispel the belief that he fed intel to the Feds? WHITEY suggests an answer—namely, that Bulger, knowing his days of freedom were numbered, decided to use the trial to protect his legacy. (To men like him, there may be nothing worse than being labeled a rat.) But without the opportunity to look into this monster’s eyes, Berlinger can’t really interrogate his motives. Leapfrogging from one nose-to-the-grindstone interview subject to the next, the filmmaker never locates a point of audience identification—excepting, perhaps, the family members of the victims, whose righteous anger echoes through the decades, briefly providing a human dimension this data dump otherwise lacks.